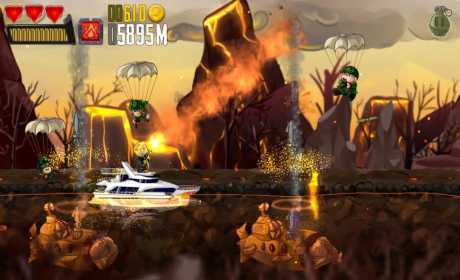 download last version of Ramboat: Shoot and Dash Apk + Mod (Gems,Gold) for android from revdl with direct link. 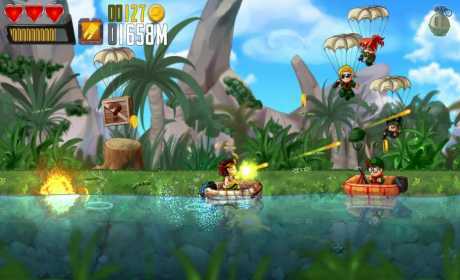 Ramboat is a game where you can navigate the waters of different zones and kill the enemies. ★ Classic action adventure arcade style with original twists. ★ Very easy to play and completely FREE!! ★ Awesome 2D graphics, with fascinating effects of light and color. ★ Became a gunslinger and shoot potent weapons like the homing missile, machine gun, flamethrower, classic pistol, laser and more! ★ Activate slow motion to knock down all enemies. ★ Rush through 7 incredibles stages that increase the difficulty and fun. ★ Race with 10+ speedy and mighty boats like a luxury yacht, a pirate ship… or a shark! ★ Try 10 unique band members, each with their special equipment and skills. ★ Sync with your Facebook or Google Play profile. ★ Enjoy playing to five card poker to multiply your profits and get juicy bonuses. ★ Simple and intuitive interface. Leap and shoot with one finger! ★ Brutal music and sound effects. Join thousands of players in this exciting adventure! You won’t stop shooting, jumping and dodging. Play now for free! PLEASE NOTE: Ramboat: Shoot and Dash is a completely free game. However, you can also purchase some items within the game for real money. Just disable in-app purchases on your device if you don’t want to use this feature in the game. 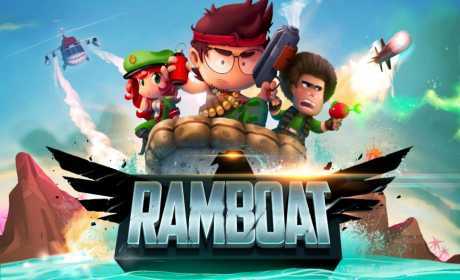 Download Ramboat: Shoot and Dash and start playing NOW!